In a world where we tend to be over-cautious about, well, nearly everything, it's no surprise that our obsession with safety can carry over to how we live our faith in the world. But it's always been risky to follow God, and Kevin Harney believes we are missing a vital part of our faith when we play it safe. In this energizing book, he challenges readers to count the cost, take a chance, and live a reckless faith for the entire world to see. With a focus on "responsible recklessness," Harney shows readers how to develop a faith that others notice, always supported by prayer, wisdom, the direction of Scripture, and insightful counsel from other believers. 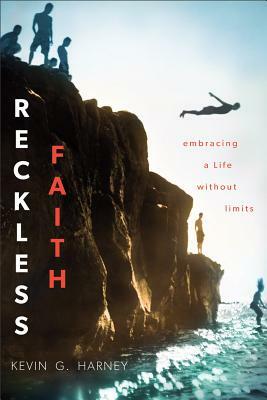 He outlines how to be reckless in our love, generosity, service, relationships, prayers, and speech. Perfect for pastors, small groups, or anyone who is tired of feeling domesticated and docile, this book will lead readers into a fresh devotion and dynamism in their faith. Kevin G. Harney (MDiv, Fuller Seminary; DMin, Western Theological Seminary) led Corinth Reformed Church in Byron Center, Michigan, through a U-Turn experience from 1993-2006. He is currently senior pastor of Shoreline Community Church in Monterey, California. Harney is the author of "Organic Outreach for Ordinary People," "Leadership from the Inside Out," "Seismic Shifts," "Finding a Church You Can Love," and more than sixty small group guides, as well as curriculum and numerous articles. He also does extensive teaching and speaking both nationally and internationally. He lives in California.